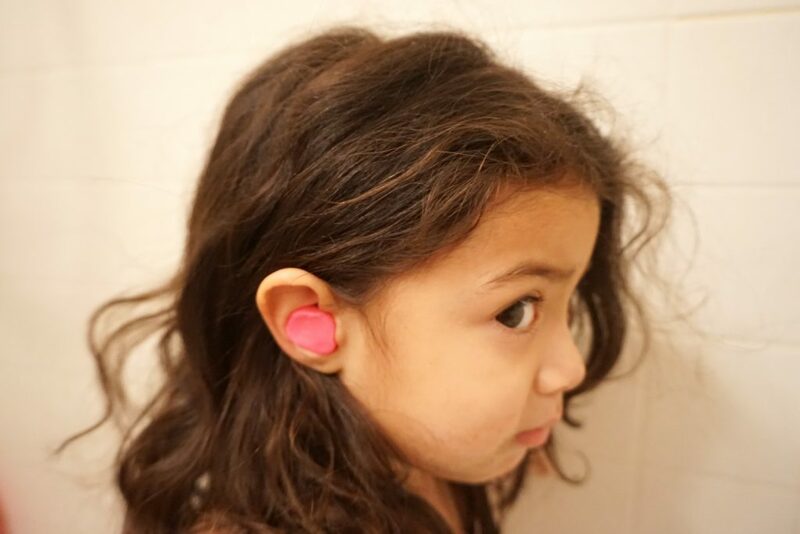 You are here: Home › Parenting › EarTube Protection W. EarBandit! GIVEAWAY! EarTube Protection W. EarBandit! GIVEAWAY! As all you may already know,since I talked about it HERE . Annalee had her Eartube surgery prosedure a couple months back. As I prepared myself for the after care of her eartubes, I came across this amazing company EarBandIt . They make amazing products to help with the protection of children’s Ears after Eartube surgery or just plain summer fun! 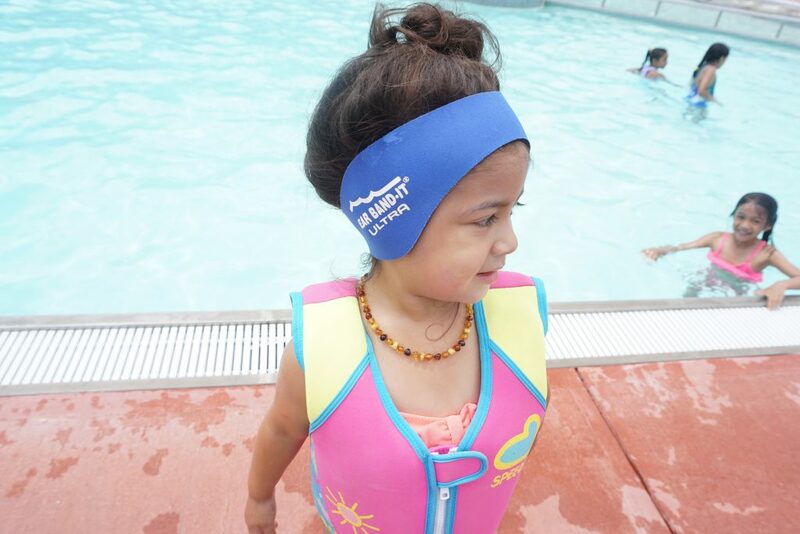 The Ear Band-It® Ultra headband is available in three sizes to comfortably fit all ages: Small, Medium and Large. Please refer to the size chart below to select the appropriate size. Available in all three sizes are the following colors: True Blue, Hot Pink, Neon Green, Neon Yellow, Neon Orange, and Camo. Also available in the size Large only are the colors Black and Tan. Our Floating Putty Buddies® are just like our Original Formula except these ear plugs are made with our special, patented Flo-Tek® silicone formula. They float easily on water so they can always be found if dropped or dislodged! The world’s only soft moldable silicone floating earplugs! These Putty Buddies are our life savers! The E.N.T suggested we put these in Annalee’s ears every time before bath time to prevent shampoo going inside her ears. It has awesome feeling security that it will all be okay after her EarTube Surgery! Finally! Kids hearing protection! You now have a solution to providing hearing protection for children with sensitive hearing and kids that need hearing protection. The Baby Banz hearing protectors effectively attenuate harmful loud noises without shutting out other ambient sounds. We have used these multiple times at Concerts,Amusement parks, & Fourth of July Fireworks. Annalee had been sensitive to her hearing since her Eartube Surgery! These have been a great item to have in out Diaper Bag. 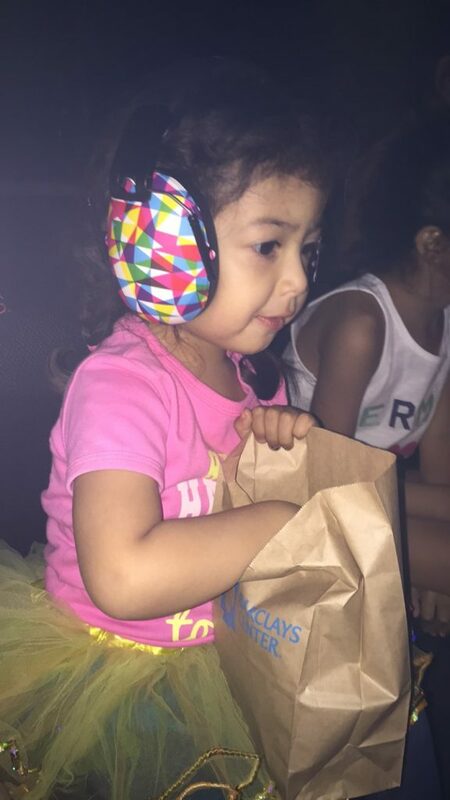 EarBandIt sells these EarMuffs on their site. Disclosure: This is not a compensated or sponsored post. I was sent the product for review only purposes. All opinions expressed here are my own. 5 Responses to "EarTube Protection W. EarBandit! GIVEAWAY!" These products are great! I love water activities during the summer. I would luv this for my granddaughter! My favorite summer activity is having a barbecue and playing outside with the kids! Also, your twitter follow option is not working, FYI.